Originally compiled by Jim Reilly for what was then the International Crosby Circle. As put together by Gary Giddins, in his marvellous book, Bing Crosby: A Pocketful of Dreams – the Early Years 1903-1940, published by Little, Brown in 2001. · Bing was the first full-time vocalist ever signed to an orchestra. · He made more studio recordings than any other singer in history. · He made the most popular record ever, “White Christmas,” the only single to make American pop charts twenty times, every year but one between 1942 and 1952. In 1998, after a long absence, his 1947 version hit the charts in Britain. · Between 1927 and 1962 he scored 368 charted records under his own name, plus twenty-eight as a vocalist with various bandleaders, for a total of 396. No one else has come close; compare Paul Whiteman (220), Frank Sinatra (209), Elvis Presley (149), Glenn Miller (129), Nat “King” Cole (118), Louis Armstrong (85), the Beatles (68). · He scored the most number one hits ever, 38, compared with 24 by the Beatles and 18 by Presley. · In 1960 he received a platinum record as First Citizen of the Record Industry for having sold 200 million discs, a number that doubled by 1980. · Between 1915 and 1980 he was the only motion-picture star to rank as the number one box-office attraction five times (1944-48). Between 1934 and 1954 he scored in the top ten fifteen times. · “Going My Way” was the highest-grossing film in the history of Paramount Pictures until 1947; “The Bells of St. Mary’s” was the highest-grossing film in the history of RKO Pictures until 1947. · He was nominated for an Academy Award for best actor three times and won for “Going My Way”. · He was a major radio star longer than any other performer, from 1931 until 1954 on network, 1954 until 1962 in syndication. · He appeared on approximately 4,000 radio broadcasts, nearly 3,400 of them his own programs, and single-handedly changed radio from a live-performance to a canned or recorded medium by presenting, in 1946, the first transcribed network show on ABC – thereby making that also-ran network a major force. · He financed and popularized the development of tape, revolutionizing the recording industry. · He created the first and longest-running celebrity pro-am golf championship, playing host for thirty-five years, raising millions in charity, and was the central figure in the development of the Del Mar racetrack in California. · He made the largest number of V-discs and army broadcasts of any American entertainer and raised $14.5 million in war bonds (a “Yank” magazine poll declared him the individual who had done more for GI morale during World War II). Harry Lillis Crosby in Tacoma, Washington, May 3, 1903. There has always been some dispute over his actual birth date and even his mother at one time said it was May 2, 1904. This is the date quoted in his official biography and shown on his gravestone at Holy Cross Cemetery in Los Angeles. His correct date of birth has been confirmed to be May 3, 1903, from his baptismal certificate. Bing was the fourth of seven children born to Harry Lincoln (sometimes Lowe) Crosby and his wife Catherine Helen (nee Harrigan) Crosby at 1112 North Jay Street, Tacoma. Bing’s mother was of Irish descent and his father was descended from a maritime family. In all, there were seven Crosby children: Laurence (born 1895), Everett (born 1896), Edward (born 1900), Bing (born 1903), Catherine (born 1904), Mary Rose (born 1906), and George Robert (born 1913). The family moved to Spokane in 1906 where Bing grew up and attended Gonzaga High School and Gonzaga University until he left home to seek his fame and fortune in California with friend Al Rinker in 1925. He was known as “Bing” from a young age, when he got the nickname from the comic “The Bingville Bugle.” Other nicknames included The Old Groaner, El Bingo, Le Bing and Der Bingle. Bing’s hobbies included golf, fishing, hunting, and horse racing. Kathryn Grant, 1957–1977 (born 1933). First marriage—Gary (born 1933, died 1995), twins (born 1934) Phillip (died 2004) and Dennis (died 1991), Lindsay (born 1938, died 1989). Second marriage—Harry Lillis Jr. (born 1958), Mary Frances (born 1959), and Nathaniel (born 1961). Bing made recordings in every year of his career which spanned fifty-one years, and he recorded some 2000 titles. He was the most successful recording artist of the twentieth century, with well over 300 hits to his name and twenty-two official Gold Records. Bing recorded with many stars including the Andrews Sisters, Patti Andrews, Louis Armstrong, Fred Astaire, Connee Boswell, the Boswell Sisters, Rosemary Clooney, Dixie Lee Crosby, Gary Crosby, Trudy Erwin, Judy Garland, Bob Hope, Al Jolson, Danny Kaye, Grace Kelly, Frances Langford, Peggy Lee, Mary Martin, Johnny Mercer, the Mills Brothers, Donald O’Connor, Debbie Reynolds, Carol Richards, Frank Sinatra, Mel Torme, and Jane Wyman among others. First recording—“I’ve Got the Girl,” a duet with Al Rinker and Don Clark and his Los Angeles Biltmore Hotel Orchestra, recorded October 18, 1926. Last recording—“Once in a While” with Gordon Rose and his Orchestra recorded for the BBC, October 11, 1977, in London. 1931—1. Out of Nowhere, 2. Just One More Chance, 3. At Your Command. 1932—4. Dinah (with the Mills Brothers), 5. Please. 1933—6. Brother Can You Spare A Dime, 7. You’re Getting to Be a Habit with Me, 8. Shadow Waltz. 1934—9. Little Dutch Mill, 10. Love in Bloom, 11. June in January. 1935—12. Soon, 13. It’s Easy to Remember, 14. Red Sails in the Sunset. 1937—16. Sweet Leilani, 17. Too Marvelous for Words, 18. The Moon Got in My Eyes, 19. Remember Me, 20. Bob White (with Connie Boswell). 1938—21. I’ve Got a Pocketful of Dreams, 22. Alexander’s Ragtime Band (with Connie Boswell), 23. You Must Have Been a Beautiful Baby. 1940—24. Sierra Sue, 25. Trade Winds, 26. Only Forever. 1943—28. Moonlight Becomes You, 29. Sunday Monday or Always. 1944—30. San Fernando Valley, 31. I Love You (Porter), 32. I’ll Be Seeing You, 33. Swinging on a Star, 34. A Hot Time in the Town of Berlin (with the Andrews Sisters), 35. Don’t Fence Me In (with the Andrews Sisters). 1945—36. It’s Been a Long Long Time, 37. I Can’t Begin to Tell You. 1948—38. Now Is the Hour. 1950—40. Play a Simple Melody (with Gary Crosby). Note: Titles 1–38 were number one hits and titles 39–40 reached the number two spot in the charts. Bing’s recording “White Christmas” was the most successful single recording in the world for more than fifty-five years. His latest success with the song was in 1998, when “White Christmas” charted for three consecutive weeks over the festive season in the U.K. reaching the number twenty-nine spot. 2. New San Antonio Rose. 5. Sunday Monday or Always. 6. Pistol Packin’ Mama (with the Andrews Sisters). 7. Jingle Bells (with the Andrews Sisters). 8. I’ll Be Home for Christmas. 9. Swinging on a Star. 11. Don’t Fence Me In (with the Andrews Sisters). 12. I Can’t Begin to Tell You. 14. South America Take It Away (with the Andrews Sisters). 15. Alexander’s Ragtime Band (with Al Jolson). 17. Now Is the Hour (Maori Farewell Song). 19. Dear Hearts and Gentle People. 20. Play a Simple Melody (with Gary Crosby). 21. Sam’s Song (with Gary Crosby). 22. True Love (with Grace Kelly). Bing’s voice was at its peak in the thirties and early forties and throughout this period he had no equal. During his career, he sang every imaginable kind of song including romantic ballads, country and western, patriotic, religious, Irish and Hawaiian favorites as well as light opera and jazz classics. No singer has ever matched Bing when it comes to Christmas; his Yuletide offerings remain preeminent throughout the world. Some 1500 of Bing’s recordings (both commercial and radio) are currently available on compact disc and more are released all over the world on a regular basis. Over 500 Crosby CDs have been issued since the advent of the compact disc as confirmation that thirty three years after his death Bing remains ever popular. See www.jazzdiscography.com/Artists/Crosby/crosby.html for further information. Bing was inducted into the Radio Hall of Fame in Chicago, on October 11, 1998, and his wife Kathryn Crosby accepted the posthumous award. 1929–1930, Old Gold Cigarettes Presents Paul Whiteman and his Orchestra, from New York. 1930–1931, The Cocoanut Grove Presents Gus Arnheim from Los Angeles. 1931, Presenting Bing Crosby from CBS, New York. 1931–1932, Bing Crosby—Cremo Singer from CBS, New York. 1933, Chesterfield Cigarettes Presents “Music That Satisfies” from CBS, New York. 1933–1935, Bing Crosby Entertains, for Woodbury Facial Soap, from CBS, Los Angeles. 1935–1946, The Kraft Music Hall from NBC, Los Angeles. 1946–1949, Philco Radio Time from ABC, Los Angeles. 1949–1952, The Bing Crosby Show for Chesterfield from CBS, Los Angeles. 1952–1954, The Bing Crosby Show for General Electric from CBS, Los Angeles. 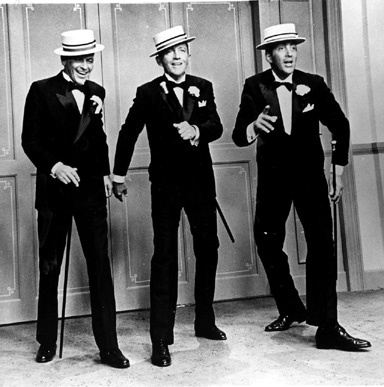 1954–1956, The Bing Crosby Show from CBS, Los Angeles. 1957–1958, The Ford Road Show from CBS, Los Angeles. 1960–1962, The Bing Crosby–Rosemary Clooney Show from CBS, Los Angeles. 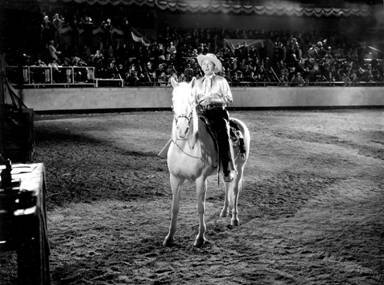 Bing was one of the most successful stars ever to appear on the silver screen. For a period covering fifteen years, Bing was among the top ten box office stars and for five consecutive years (1944–1949) he achieved the number one spot. He won the Academy Award for Best Actor in 1944 for his portrayal of Father Chuck O’Malley in the film Going My Way. He was also nominated for two additional Best Actor Awards for his performances in The Bells of St. Mary’s (1945) and The Country Girl (1954). In a great many of his films, he played lighthearted comedy and musical roles as a singer or songwriter. His usual casual approach belied the fact that Bing was a fine dramatic actor as witnessed by his portrayals in Little Boy Lost (1953), The Country Girl (1954), Man on Fire (1957), and his last major film Stagecoach (1966). No one who saw his powerful performance as an alcoholic in The Country Girl could ever doubt his ability as a serious actor. 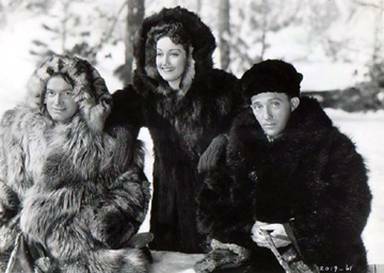 It is somewhat ironic that Bing’s film career may be best remembered for his seven zany Road films in which he starred with Bob Hope and Dorothy Lamour. In all, Bing appeared in 104 films made for the cinema including short comedies, feature-length films, cameos, and guest appearances. He also starred in several films made especially for television. Mack Sennett Shorts (1931–32)—I Surrender Dear, One More Chance, Dream House, Billboard Girl, Sing Bing Sing, and Blue of the Night. Paramount shorts (1933)—Please and Just an Echo. MGM short (1935) Star Night at the Cocoanut Grove. Reaching for the Moon, Confessions of a Coed, The Big Broadcast of 1936, My Favorite Blonde, Star-Spangled Rhythm, The Princess and the Pirate, Duffy’s Tavern, Variety Girl, My Favorite Brunette, Angels in the Outfield, The Greatest Show on Earth, Son of Paleface, Scared Stiff, Alias Jesse James, Let’s Make Love, Pepe, Cancel My Reservation, and That’s Entertainment. Too Much Harmony—1933 (black & white). A Paramount Picture directed by A. Edward Sutherland starring Bing Crosby, Judith Allen, Jack Oakie. Songs include: “Boo Boo Boo,” “Thanks,” “The Day You Came Along,” and “Buckin’ the Wind”. Stagecoach—1966 (color). A Twentieth-Century-Fox Production directed by Gordon Douglas starring Bing Crosby, Ann Margret, Michael Connors, Alex Cord, Red Buttons, Van Heflin, Slim Pickens, and Stephanie Powers. Bing’s last major film appearance was as one of the narrators in the MGM compilation film That’s Entertainment (part one) which was made in 1974. Many of Bing’s films are now available on commercially recorded DVDs. For more detailed information, search at the Internet Movie Database. The first of Bing’s television appearances was on December 19, 1948, when he sang “Silent Night” with the Mitchell Boys’ Choir. This first telecast can still be seen today on the video The Magic Of Bing Crosby Part 1. Bing did not undertake much TV work over the next few years although notable exceptions were his participation in a fourteen-hour telethon in 1952 and two half-hour shows he recorded for General Electric in 1954. In 1956 he appeared in the first film especially made for television—High Tor—which also featured a young Julie Andrews and Nancy Olsen. However his real breakthrough into TV came in 1957 when he hosted the award winning program The Edsel Show with guests Frank Sinatra, Louis Armstrong, and Rosemary Clooney. The huge success of that show led to a major contract for Bing with ABC-TV and he then began a pattern of making two “specials” each year which were invariably very well received. In 1964, Bing starred in a weekly situation comedy program, which only ran for one season. More suited to Bing’s talents was his frequent role as host of the Hollywood Palace variety shows. His thirty-two appearances made him the most employed presenter of the series, which ran from 1964 to 1970. He also starred in the TV movie Doctor Cook’s Garden in 1971 and won much critical acclaim for his performance. Bing also could often be seen in television advertisements, with his Minute Maid and Shell performances being the best known. Bing will probably be most remembered for his Christmas TV specials which started in the 1960s and became the highlight of the festive season each year, being watched by very large audiences. His last television appearance was in “Bing Crosby’s Merrie Olde Christmas” which was taped in England and shown in the U.S.A. on November 30, 1977 and in the U.K. on December 24, 1977. This final show was also made available on commercial video. Bing originally developed his skills on the vaudeville and theater stage and enjoyed a record run of over twenty weeks at the Paramount theaters in New York and Brooklyn in 1931–32. Appearances at numerous theaters across the U.S.A. followed before Bing went into films. His heavy commitment in films and radio virtually ended his concert work until World War II when he became a prolific entertainer at military camps and at bond rallies. Thereafter he made very few live performances until 1976 when, to everyone’s surprise, he returned to the concert stage with a vengeance. Bing starred in concerts in New York, Las Vegas, Los Angeles, San Francisco, Miami Beach, New Orleans, Pasadena, San Jose, Preston (England), Dublin (Ireland), Edinburgh (Scotland), Manchester (England), and Oslo (Norway) as well as headlining two sell-out seasons at the London Palladium in 1976 and 1977. His marvelous performances endeared him to all that saw them. Bing’s last public engagement was at Brighton, England, on October 10, 1977. Founded as the British Bing Club in March 1950 and converted to the International Crosby Circle in January 1966. The International Crosby Circle merged with the American Club Crosby in 2003. 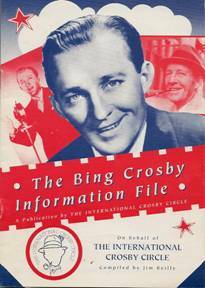 The main aims of the ICC are to preserve and promote Bing Crosby’s incomparable musical legacy throughout the world and to provide information for members on all matters related to Bing’s career. The ICC magazine BING is published three times a year; spring, summer and winter. Members can advertise for their wants or Crosby-related services that they can offer in the magazine. The annual general meeting of the ICC is held in Leeds, England, on the first Sunday in October, unless otherwise advised. The ICC also sponsors research and supports the publication of books about Bing’s life and career as well as arranging the issue of a Crosby calendar each year.